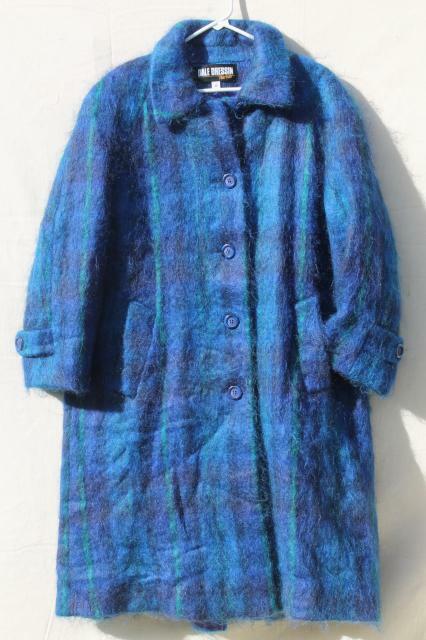 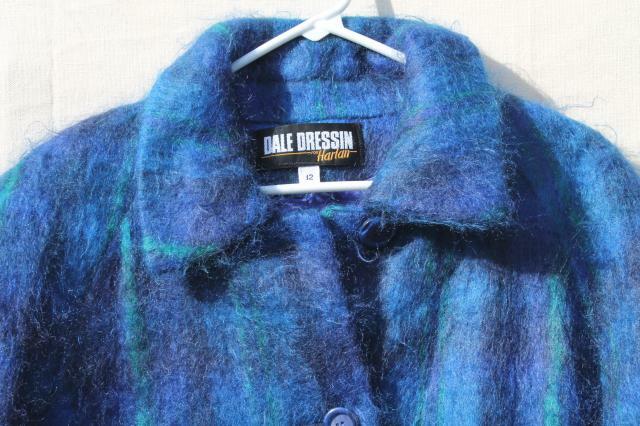 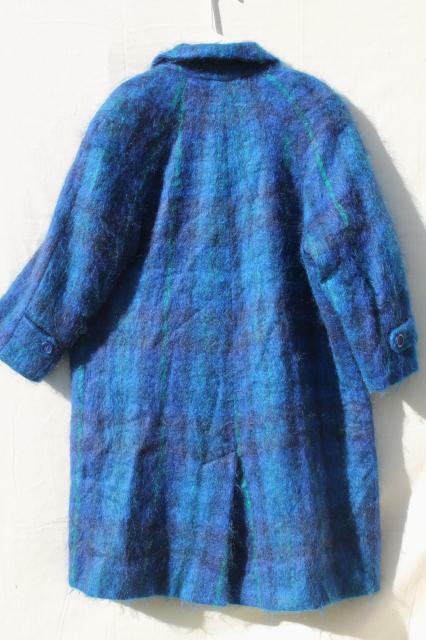 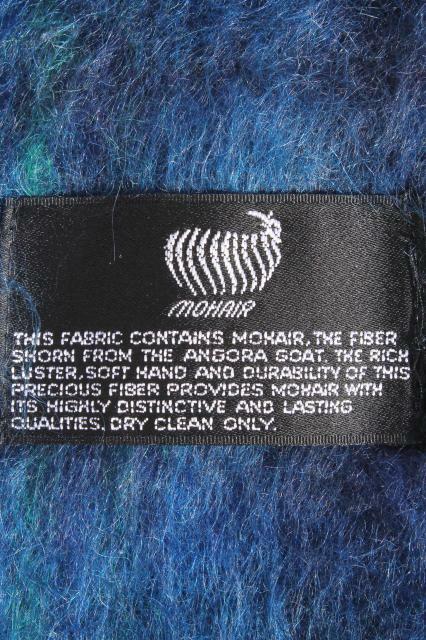 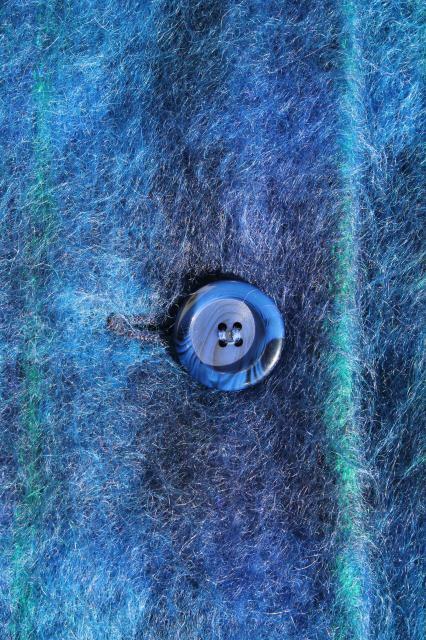 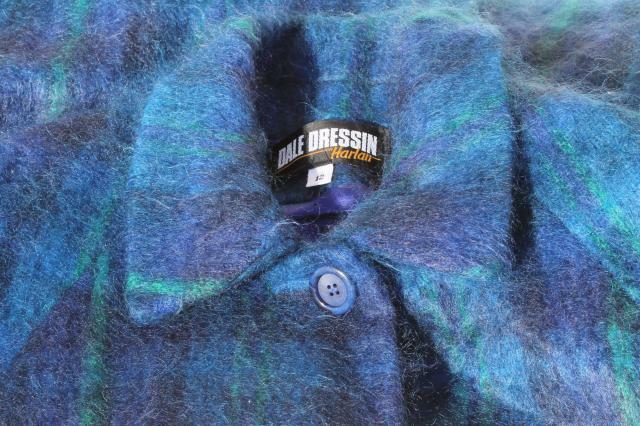 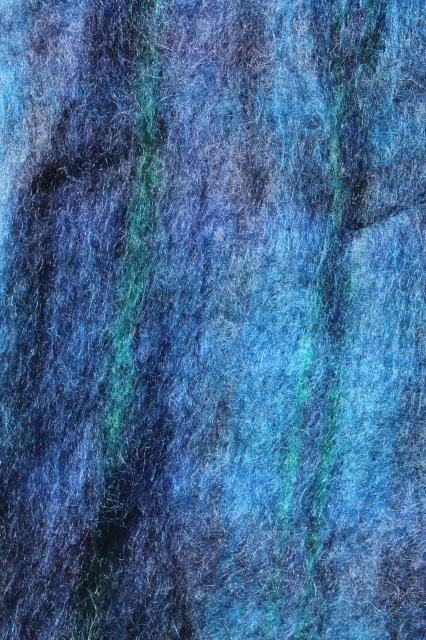 80s vintage mohair wool reefer coat, with a gorgeous shaggy soft fabric inpeacock blue plaid. 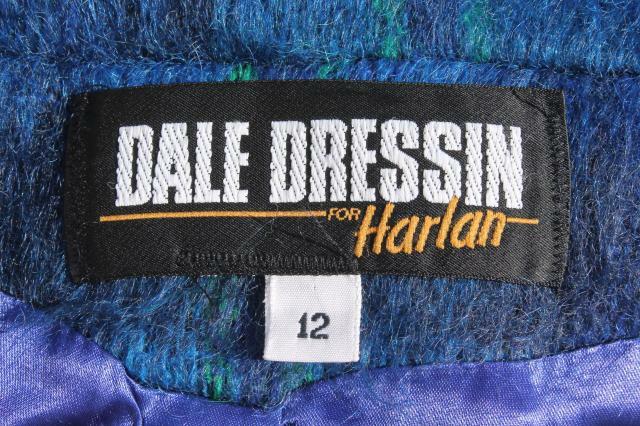 Label is Dale Dressin for Harlan, size tag ladies 12, though this has a fairly flexible oversize fit. 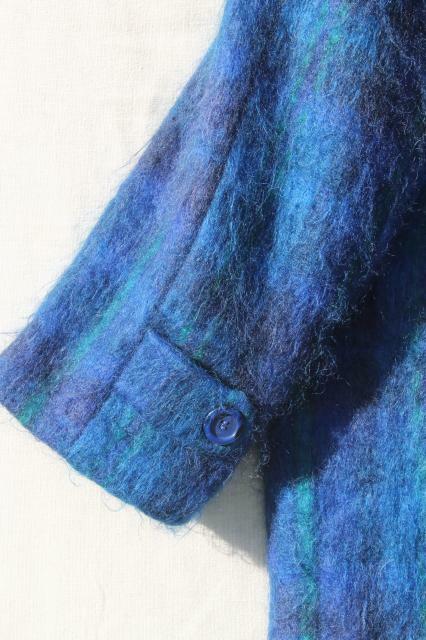 Moderate shoulder pads. 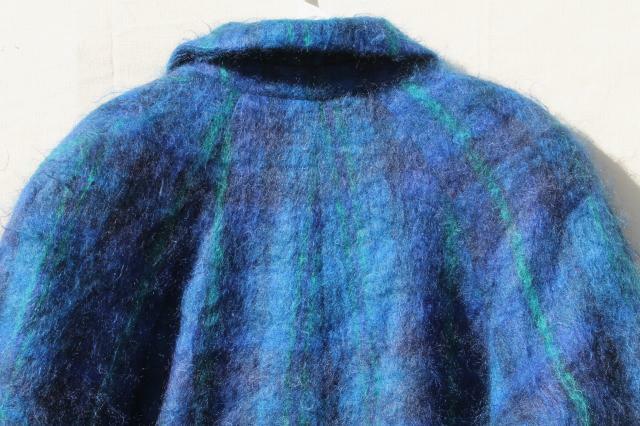 Garment measurements are 19" across the back or the shoulders, 22" at the chest under the arms, sleeve length 15" underarm, about 41" long straight down shoulder to hem empty. 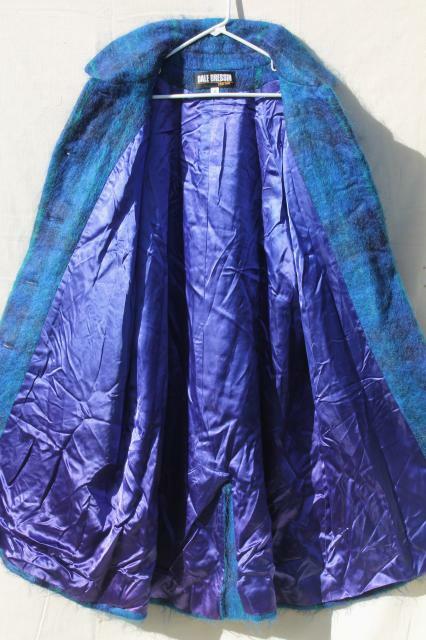 Condition is very good, nice and clean, showing very little if any wear. 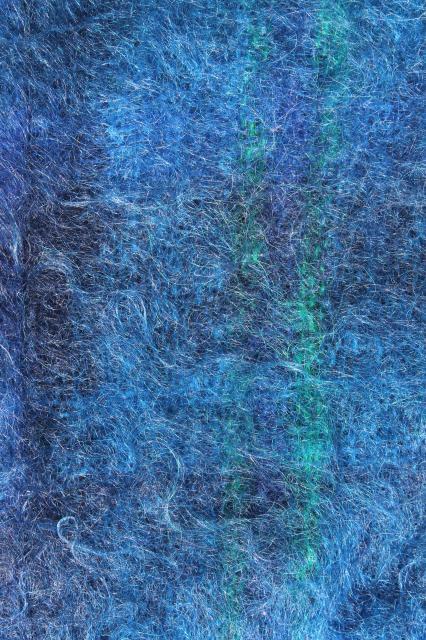 We didn't find more than a few tiny pinholes from moths.